UMSU joined university campuses across Canada last week to foster awareness of mental wellness by taking part in the Canadian Alliance of Student Associations (CASA) #StudentsLetsAct initiative. 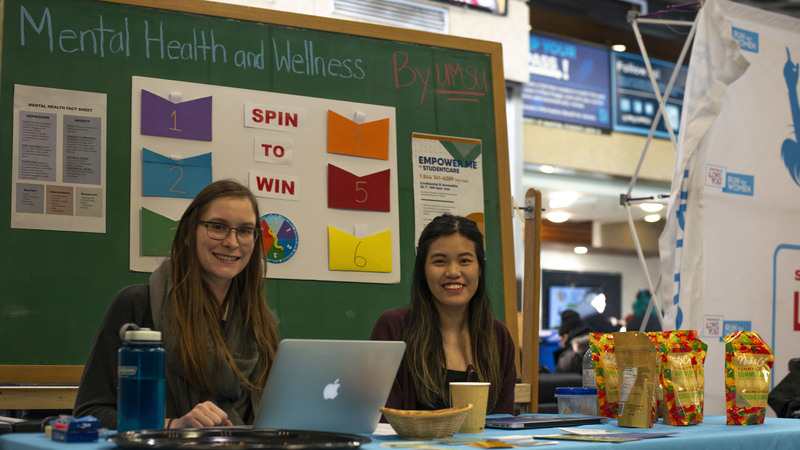 The initiative took place from Jan. 28 to Feb. 1, during UMSU’s mental health and wellness week. The union’s VP advocacy, Sarah Bonner-Proulx, said UMSU joined the campaign to lobby the federal government for additional mental health resources for students. “The main purpose of this campaign is to advocate for increased government funding for mental health supports and services for students at post-secondary institutions,” she said. “At the end of the week these hearts will be packed up and sent to the federal health minister of Canada,” she added. Despite taking part in the campaign, UMSU is currently not a member of CASA — but the UMSU executive has recommended the union defederate from its current advocacy organization, the Canadian Federation of Students, and join CASA. UMSU president Jakob Sanderson said UMSU’s decision to join an initiative led by a student association that the union is not a member of was a matter of the quality of the initiative. “The campaign is a phenomenal one that has student unions at over 20 institutions in Canada — including UBC which is also not a CASA school — delivering messages from 10,000 students to the federal health minister demanding increased mental health funding,” he said. “Something UMSU deeply believes is that there is power in collaboration, and we will work with any organization that runs campaigns we see as valuable for our members. While the letter-writing campaign on campus ended Friday, students can still submit letters through CASA. The alliance’s website provides a pre-written letter that students can send to their elected member of parliament and the minister of health. “The goal of this campaign is to turn the many conversations we’ve had about mental health into real action and change on Canadian post-secondary campuses and doing this by flooding Parliament Hill with letters and hearts written by students about why mental health matters and what the federal government can do,” Bonner-Proulx said. Other mental health and wellness week events included a question-and-answer session hosted by U of M nursing students and a film screening in the Dafoe theatre. Bonner-Proulx said students looking to promote mental wellness on campus can start by being cognizant of how their words can affect others. “As for what students can do — one of the best ways to help end this stigma that still surrounds mental health and illness, is to talk about it and to be kind and considerate to others,” she said.